(00:30): Robert muses on this week’s theme: How big are the shoes you have to fill? 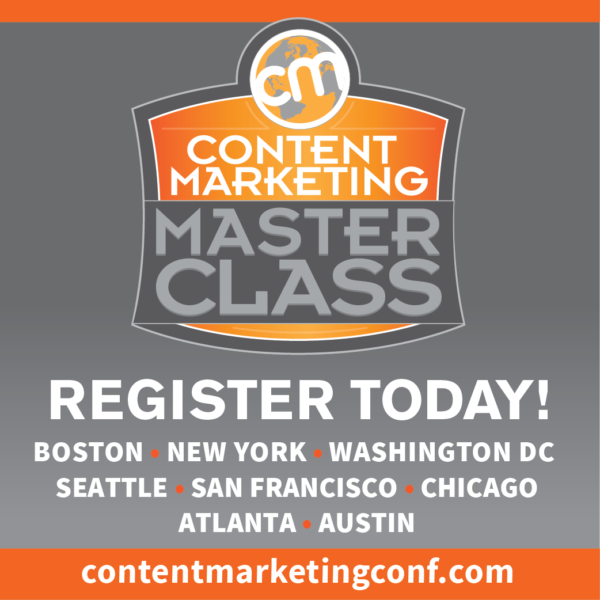 (06:45): Content Marketing Master Classes – Our multi-city tour is returning for another round of in-depth content marketing training. Starting on November 6, we’ll be making stops in Boston; New York; Washington, DC; Seattle; San Francisco; Chicago; Atlanta; and Austin, Texas. Robert and I would love to see you there, so register today. Subscribe to Storyblocks: If you’ve ever been in need of a quick photo, vector, image, or soundtrack, you should know about Storyblocks. Storyblocks is the first and only subscription-based stock media company that offers unlimited downloads of its Member Library content for a modest annual fee. Choose from hundreds of thousands of the high-quality, royalty-free stock images, videos, and audio tracks available at VideoBlocks, AudioBlocks, and Storyblocks images, and download as many as you want – at a fraction of the cost of other stock libraries’ assets. Go to storyblocks.com/cmi to get all the stock images, video, and audio you can imagine for $149, and unlock discounts on the millions of additional assets we offer through our value-added Marketplace service for members. (47:13): Robert’s commentary: We’ve spoken on many occasions about consultancies competing for the creative services business historically serviced by agencies. However, this must-read Digiday article offers two compelling explanations for why this is happening that Robert hadn’t considered before. (52:38): Joe’s commentary: This Ars Technica post has little to do with content marketing – except for something interesting I noticed in the comments. The site doesn’t typically do much with video content; but because a video was included in this case, it opened up a Pandora’s box of complaints about its execution – including the lack of a transcript and issues with the media player. Though Senior Technology Editor Lee Hutchinson commented with some valid reasons for the absence of a transcript, the rest of his response raised some greater strategic concerns, in my mind. (59:17): Electric Boat Company: Isaac Rice and John Holland founded The Electric Boat Company in 1899 to build the first submarines for the United States. 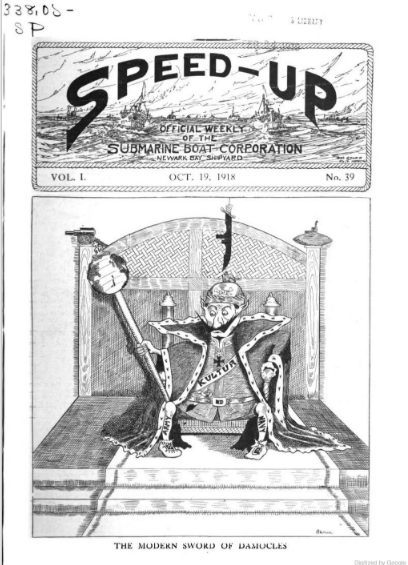 After Holland’s death, the company reorganized, becoming known as the Submarine Boat Corporation in 1915. But in the spirit of Holland’s original vision, the company soon launched a weekly thought-leadership driven publication called Speed Up, as a way to educate the market on all the technical details involved in building boats and submarines. One issue Robert discovered included a foreword written by American steel magnate Charles M. Schwab, and other industry influencers contributed to the publication on a weekly basis. Through the years, a number of mergers and acquisitions tossed the company back and forth, but it finally landed on solid ground as the Electric Boat division of the U.S. defense contractor now known as General Dynamics. 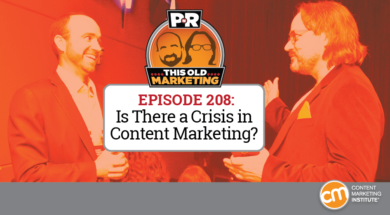 It’s a wonderful example of how content marketing can keep a company afloat – even as it sails through rough seas.